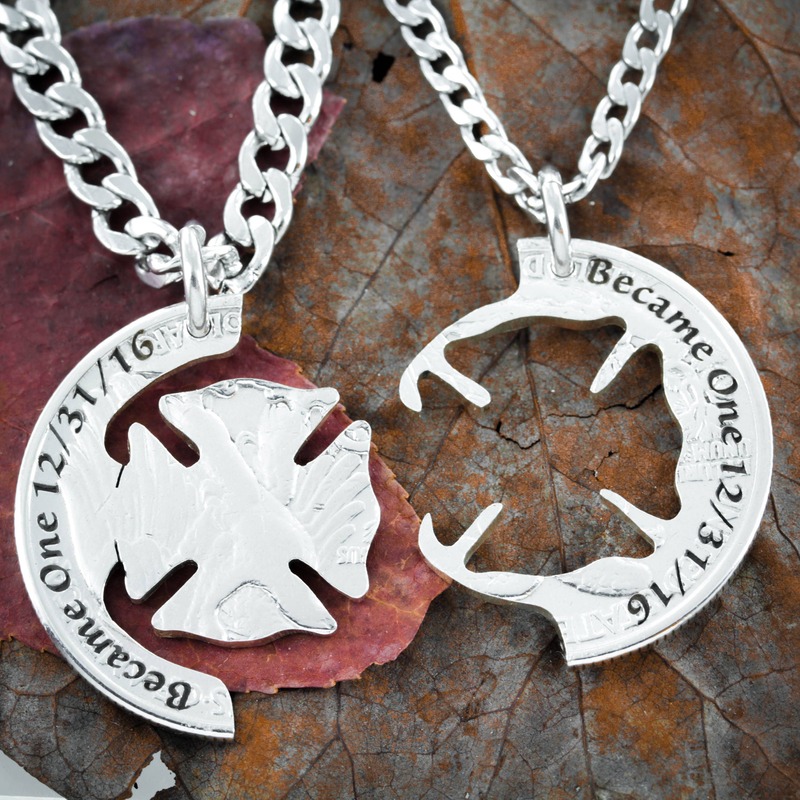 This His & Her's firemen necklace is perfect for firefighters and their special someone. 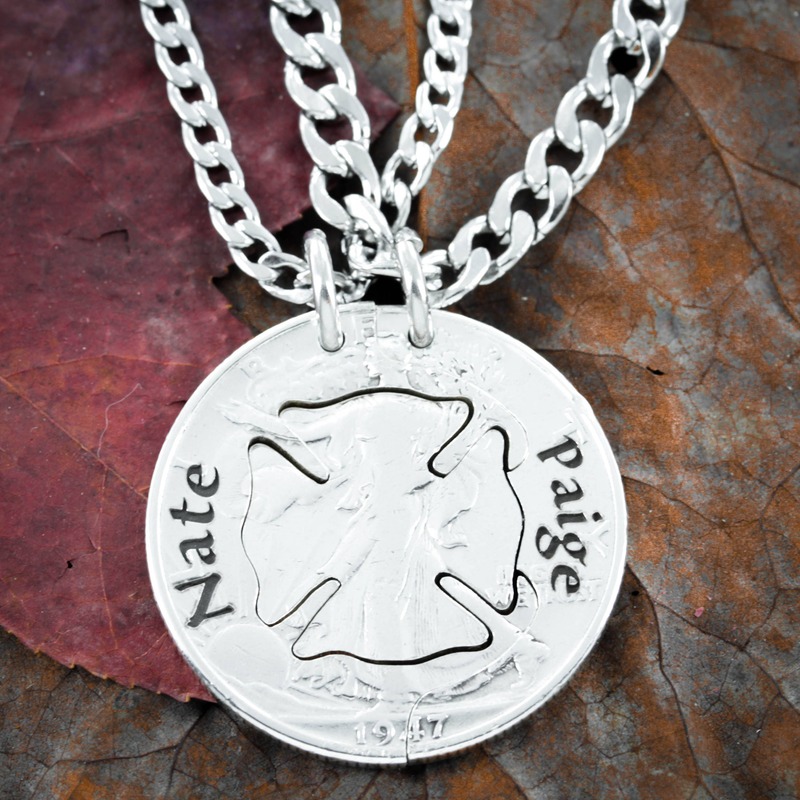 They interlock perfectly and we will engrave on the front and back. Here we have names on the head side of the coin and the anniversary date on the back with "Become One" We also could engrave the firefighter's number in the maltese cross. Please tell us in your order comments what you would like us to engrave on each side. 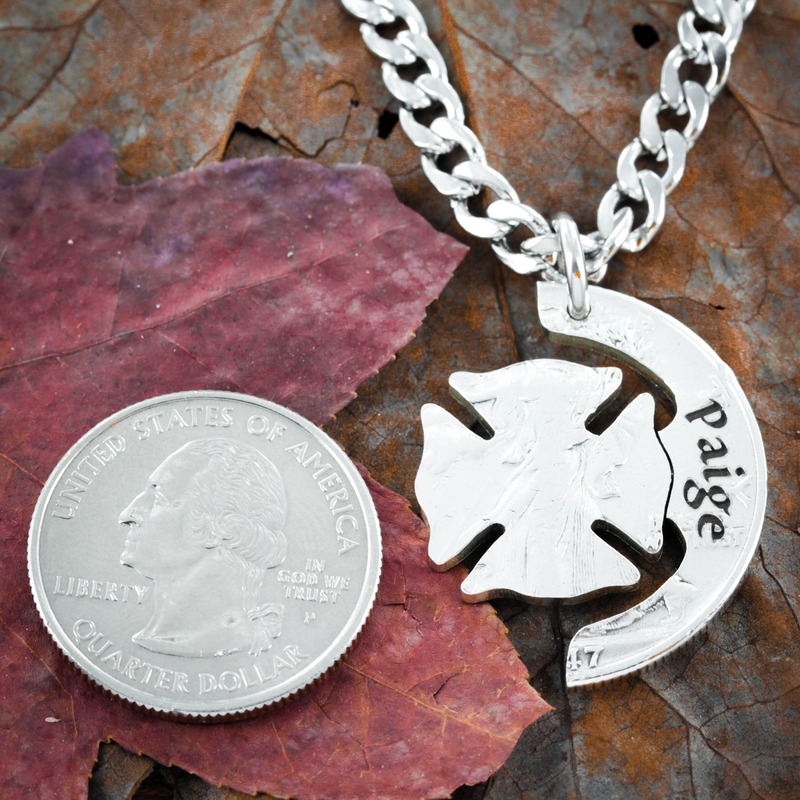 The picture shows the design on a silver half dollar. 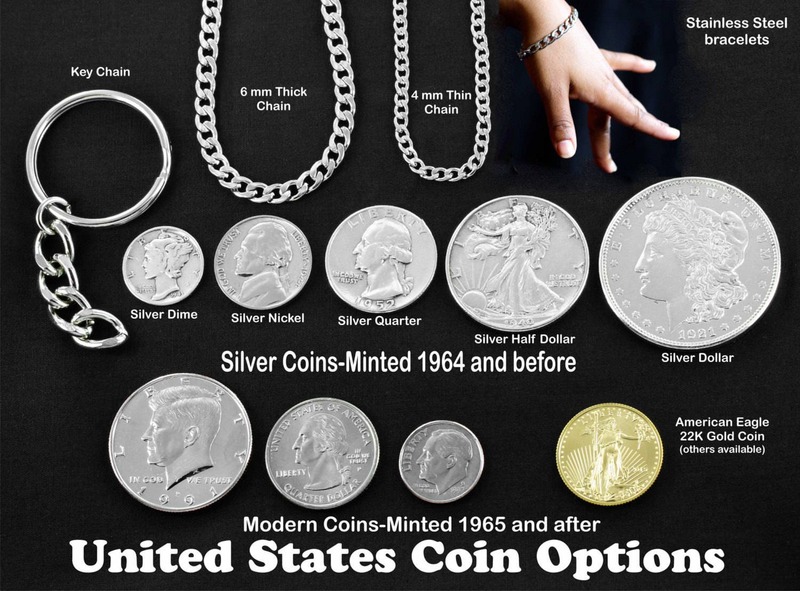 Please look at our coin options photo so you can see the relative sizes of the coins and choose the best one. 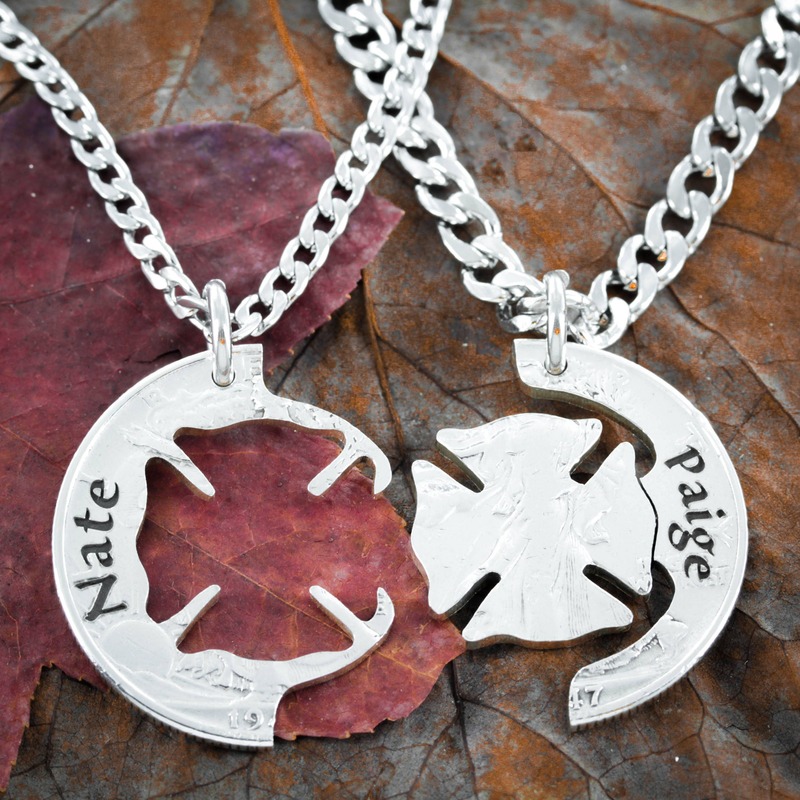 With your order you get two very strong and smooth stainless steel necklaces. Or, if you choose, we put one or both on key chains or black cords.